He is the latest in a long, impressive line of actors to take on the role, but thanks to his incredible voice - the one you know from Arrested Development, BoJack Horseman, 30 Rock, and loads more besides - he is perfectly suited to take on the dark and broody vocals of the Dark Knight. 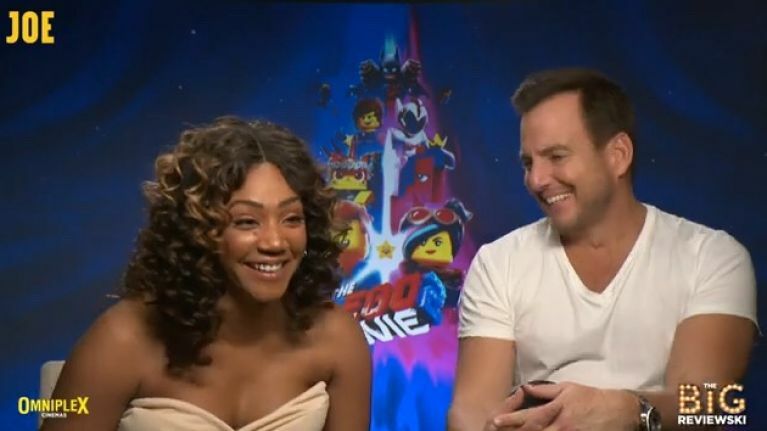 He returns to the role for the third time in The LEGO Movie 2, and JOE was lucky enough to sit down with him, as well as the incredible talent that is Tiffany Haddish. While she has been around for a while, having appeared in episodes of That's So Raven and It's Always Sunny In Philadelphia way back in 2006, Haddish got her big break thanks to 2017's break-out hit Girls Trip. Since then she has gone from strength to strength, with an upcoming line-up including The Secret Life Of Pets 2 and The Kitchen (co-starring our own Domhnall Gleeson). We sat down with the stars of the movie to chat about their roles in the new movie and meeting previous Batmen - Haddish tells us she dated them ALL - as they gave each other fun nicknames along the lines of 'Rex Dangervest'. JOE was also lucky enough to catch up with two more of the movie's stars, and you can see our interview with Chris Pratt and Elizabeth Banks right here! The LEGO Movie 2 is released in Irish cinemas on Friday 8 February.